Manfactured by Tromix under licensing agreement with Sheridan Engineering (Pat. Pend). Specify Caliber, 458 Socom, .375 Socom, .450 Bushmaster. 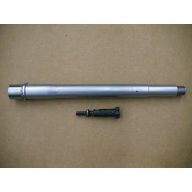 These gauges are made from the leftover portion of the actual barrel blank and includes the rifled portion in front of the chamber’s lead. 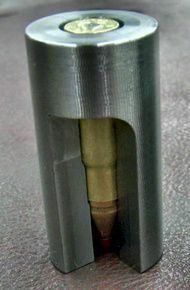 To keep costs down, the exterior of the gauge is left rough machined, just as the barrel blank remnant dropped off the CNC during barrel manufacturing.